Winter is a great time to start preparing yourself for the next fishing season, particularly for us Northern anglers who have waterways frozen over and bass season months away. Your gear is one of the most important aspects of your fishing success and ensuring your fishing tackle is in good working order should be high priority during this down time. The last thing anyone needs is a lost fish due to negligence on your own part for not keeping your equipment in tip top shape. Here are some tips to help you organize and clean your fishing gear during the winter doldrums. 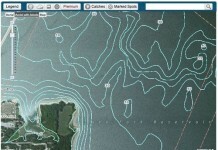 Get ready for next year’s fishing season! 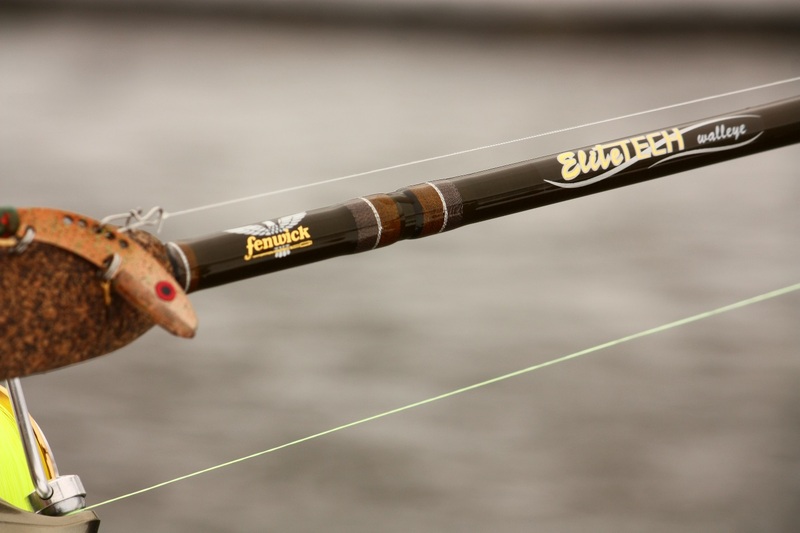 Your rods are pretty much forgotten during the season beyond constantly using them to catch fish! When it comes to rods, there are two main things I focus on. First, checking the guides to make sure there are no chips or cracks that could cut your line. Many anglers like swabbing the guides with a q-tip, which will fray if it hits a problem area on the guide. Second, cleaning the rod and cork handles. There are these really amazing things out there called magic erasers. 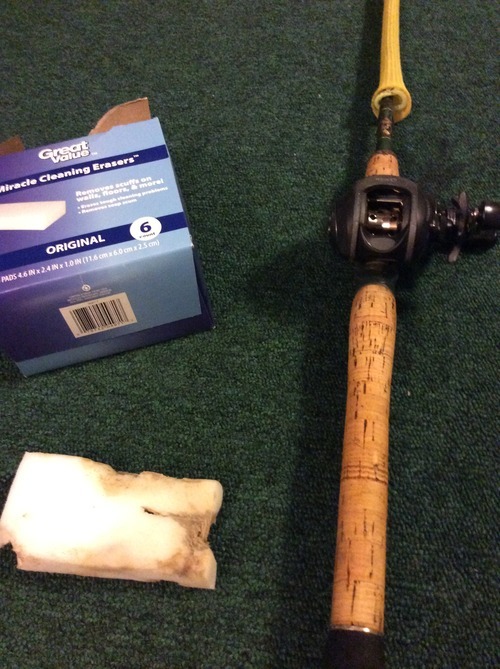 While you or someone in your house may be using these cleaning supplies for other reasons, they also do an incredible job of cleaning off the cork grips and handles after a long fishing season. They play a huge role in many of processes with lures, tackle boxes, and much more! Just wet them and scrub liberally on the cork to get back to basically a showroom finish. They also do an impeccable job of getting off the rust that sometimes accumulates around the lure hook holder on the bottom section of your reel. While there are many places available that will do this process for a fee, I feel that with the proper knowledge, cleaning your own reels properly is not that difficult of a task. You can do it! First thing, there is nothing more frustrating than taking apart something and not being able to put it back together so it’s important to keep your reel’s informational packet and disassembling directions as a backup. Many times I take photos along the way also to help remind me of where things were. If you have a GoPro or similar setup, it might be a good idea to video tape yourself until you get the hang of it. If your tackle looks anything like mine at the end of the season, it needs some work. There are things lying all over from fishing tournaments and they need some TLC. Clear out any rusted lures and replace hooks if needed so your box can start fresh. Lures that have rust spread onto the hardbait itself can be easily cleaned by one of those wonderful magic erasers. Just give them a nice scrub to make them tackle-ready. The tackle boxes themselves may need to be fully replaced. The rest of your boxes should be emptied, cleaned, dried thoroughly, and refilled with your baits. 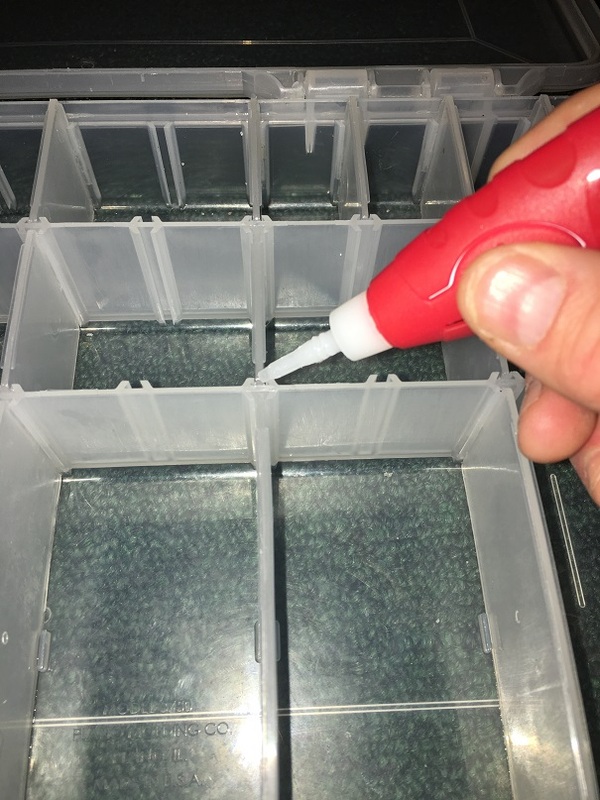 Another trick is to super glue the dividers in your box to stop them from slipping and allowing hooks and baits to mix and cause a disaster for you when you’re trying to get what you need in a hurry. 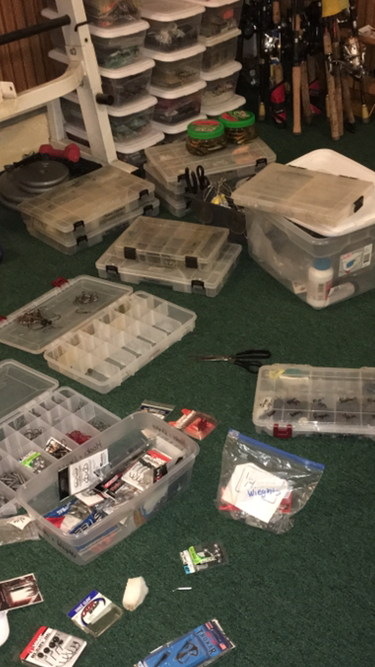 Organizing your tackle will help you save time on the water and allow you to be more successful. Mark the top of the boxes so you can easily and quickly pull out what you need on the water. The following year, you can even use the magic eraser to remove the ink and reapply new labeling on the box. 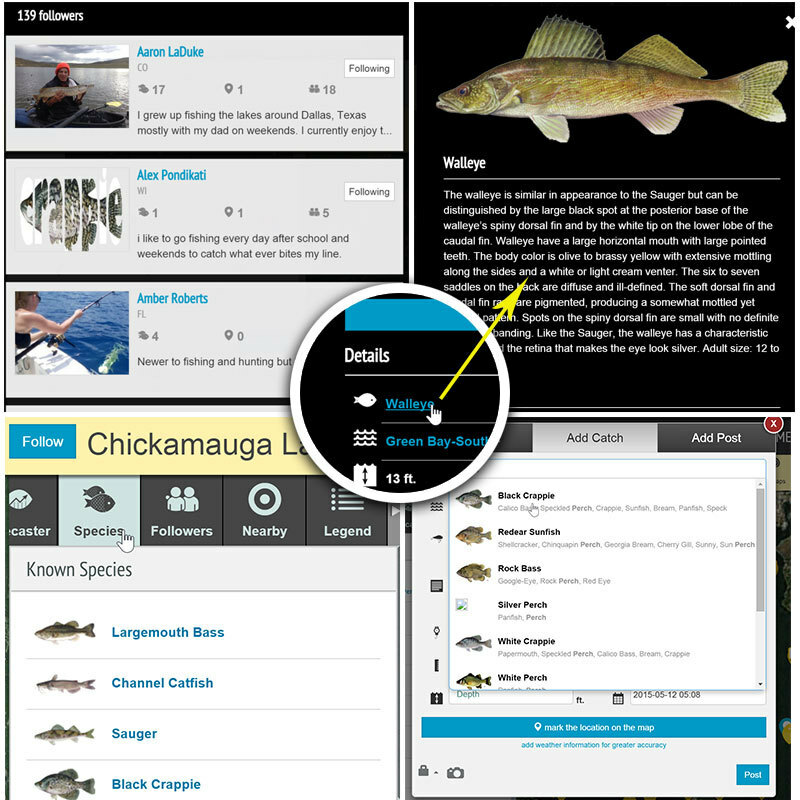 Labeling what is in each section of your tackle box can also help you get exactly what you need. 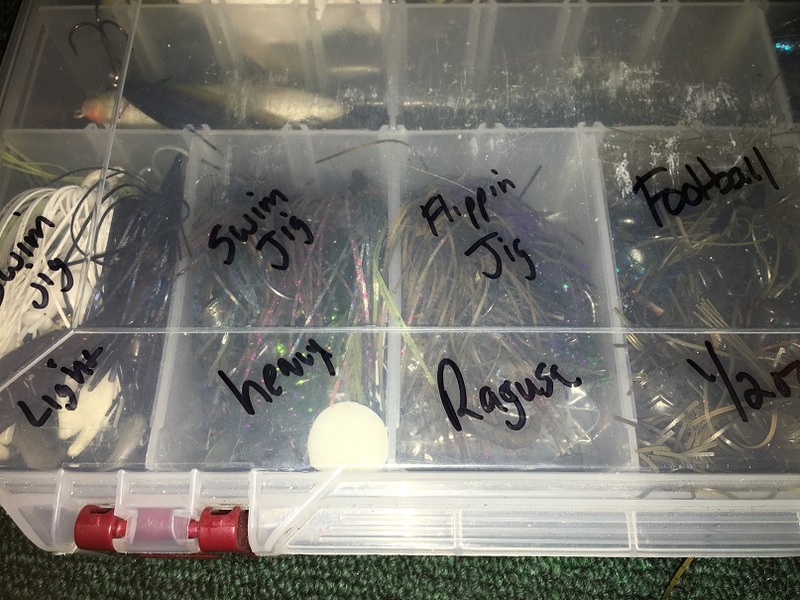 For years I had my jigs separated within my boxes, but not labeled. 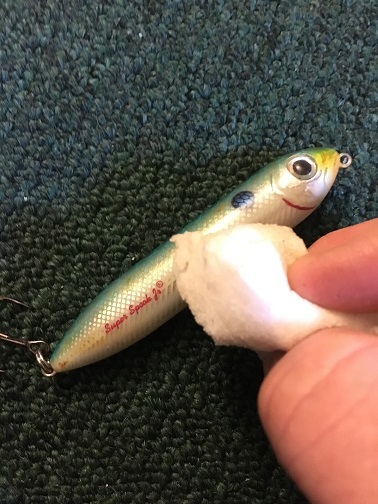 After changing jigs on the fly numerous times depending on the condition, many of them are put back into the wrong area because I just didn’t know what was what. Labeling the top of each section so you can easily view it while you open the box can also help keep things more organized. Label, label and label some more! While the winter months leave me wishing I was fishing, taking care of these things will ensure that when the nice weather does return, I’ll be ready. This also keeps fishing at the forefront of my activities year-round… which is never a bad thing! Take care of your equipment and it will take care of you. (New York) New York B.A.S.S. Federation, Northern NY Bassmasters Club & Walmart BFL 2009 & 2013 NNY Bassmasters Team Trail Team of the Year and 2009 & 2013 NNYB Federated Club Angler of the Year. 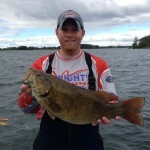 Sponsored by Wrights Marina, Gajo Baits, Bayou Bug Jigs, Liquid Mayhem, National Pro Staff and Power-Pole. 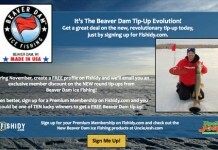 Fishidy Ambassador. Thanks! Useful article, I am using this way for my equipments. Awesome Richard! Tight lines man!